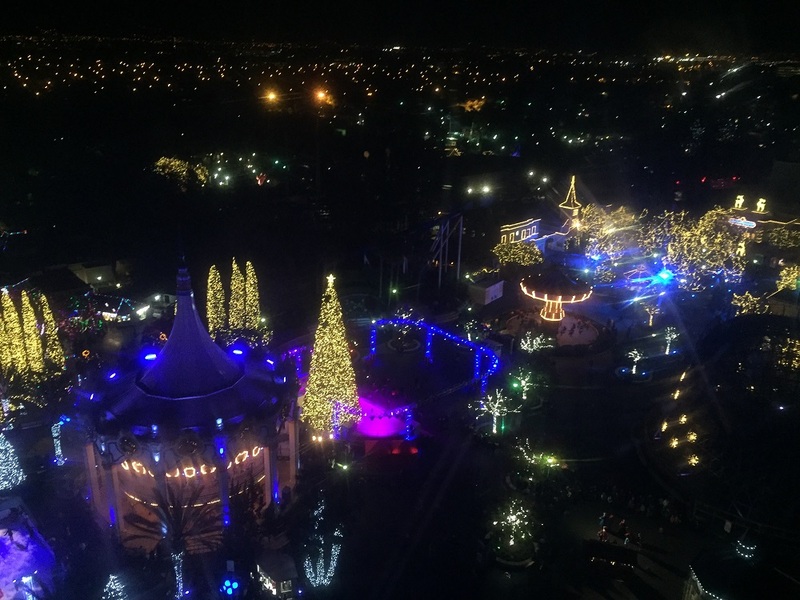 California’s Great America launched its new WinterFest event on Nov. 25, a dazzling display of more than 7 million LED lights that shine a new perspective on the park. WinterFest marks uncharted territory for Great America, which had always closed for the season after Halloween Haunt ended in late October. Judging by opening night, WinterFest seems like a smart move by the park. Hordes of people filled the park during the five-hour event, taking in the impressive light displays while braving cold night rides on Gold Striker and Flight Deck, which consistently had nearly full queues the entire night. About half of the park is open during WinterFest, with around 20 rides open for the month-long event. Nine themed areas are decorated in the park. Among those, 20-foot-tall candy canes adorn Candy Cane Lane, snow falls in Hometown Square, and guests can stroll through Charlie Brown’s Christmas tree lot. Great America’s iconic fountain in front of Carousel Columbia has been transformed into Snowflake Lake, where, for an additional fee, guests can ice skate. WinterFest kicks off with the lighting of a 70-foot Christmas tree next to Carousel Columbia. Live shows (and even reindeer), holiday characters and more round out the event. 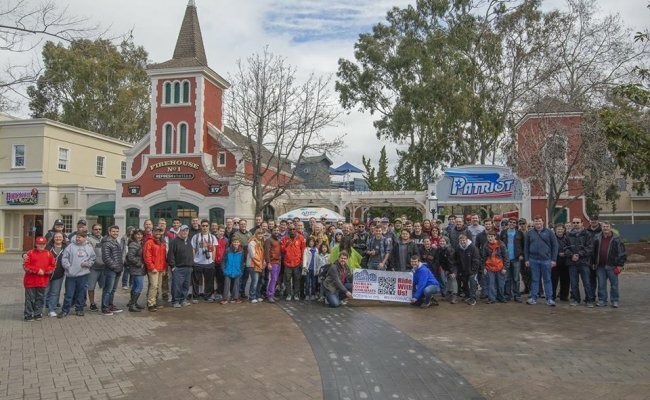 “WinterFest will be one of Northern California’s most spectacular winter events, delivering a unique experience where friends and families can create memories and traditions during the holiday season,” Great America’s Vice President and General Manager Raul Rehnborg stated in a press release. ACE NorCal’s Happy HolidACE at WinterFest will take place on Dec. 4, featuring a backstage tour of WinterFest with Great America’s Clayton Lawrence, ice skating and more. Registration is due by Dec. 2. You can find out more by checking out the flier. WinterFest will be open Fridays, Saturdays and Sundays, with daily operations Dec. 19-23 and 26-30 from 5-10 p.m. (Dec. 11 from 7-11 p.m.). For tickets and information, visit www.cagreatamerica.com.